The end of summer can be a stressful time as families get ready for another school year. 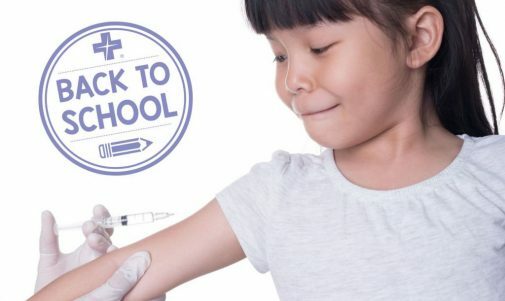 Mandatory school immunizations can add to this stress. To help quell parents’ fears and anxiety, Dr. Shrinal Vyas, a pediatrician at Advocate Illinois Masonic Medical Center in Chicago, clears up five common misconceptions about vaccinations. It’s better to let my child catch a disease and build natural immunity than to vaccinate my child. “In some cases, natural immunity from a disease may result in better immunity than a vaccination. However, the risk of getting a disease far outweighs the risk of getting a vaccine. Dangers of the diseases that we routinely vaccinate against, such as diphtheria or haemophilus, include meningitis, respiratory failure, coma and even death,” Dr. Vyas says. “Vaccines can cause extremely rare side effects, but in practice, we find that children who suffer the diseases suffer much more. For example, if you catch measles, which there have been many outbreaks of in recent years, you have a one in 500 chance of dying. Yet people who get the measles vaccine have less than a one in 1 million chance of having a severe allergic reaction,” she adds. Ready for school? Find the first-available pediatrician near you and schedule your child’s check-up or physical online. Thank you! There is so much misinformation that goes around regarding vaccines, even health care profesisonals and nurses are sometimes AntiVax and that is very sad. I completely and totally disagree, and believe it is and always should be up to the parent to do their own research and decide if their child should receive vaccines.